Add email to your automated customer communication strategy. Esendex Email is designed to work as part of a multichannel communications strategy, allowing you to choose between SMS or email depending on the nature of the message and the recipient. From creating the message templates, complete with personalised fields, to crafting workflows that intelligently decide which customers should receive which template and when, Esendex makes email automation easy. We'll remove opt outs from your mailing lists, so that you're fully compliant. We'll also provide you with all of the analytics you'd expect, from open and click-through rates to hard and soft bounces. 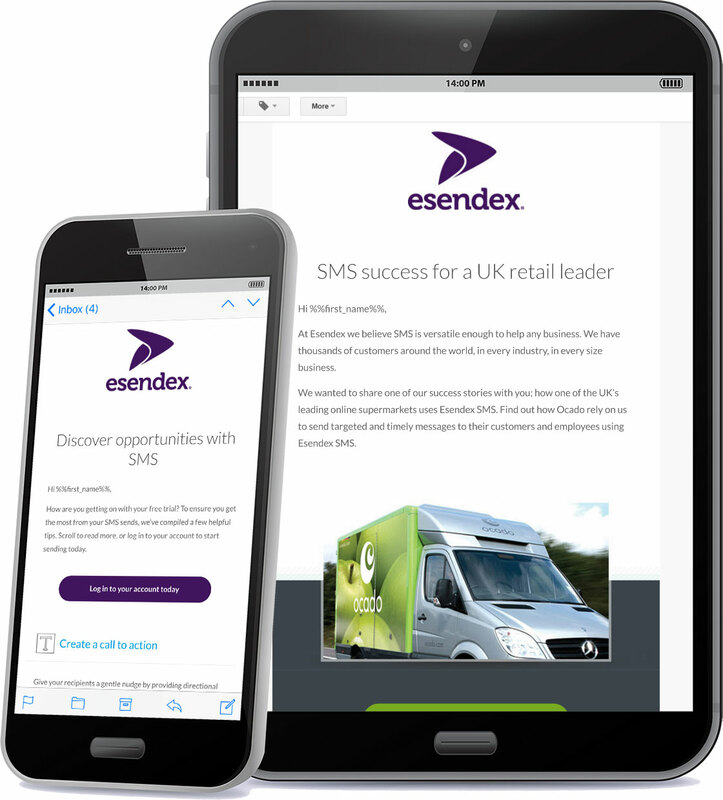 68% of emails are opened on a mobile, so ensuring that all of your emails look great on a smaller screen is part of the service from Esendex. Our experienced team will help you develop your email and SMS messaging strategy, build the content, and make sure it's delivering results. "From the word go I have found Esendex to be professional, friendly and understanding to our business needs." Feefo is a trusted supplier of ratings and reviews, generating genuine feedback that you can rely on. Our rating is at 4.6/5 for the past year!